Maybe it’s because I’m a Brit and not used to long-running TV shows, but is there no end to Elementary? It feels like the longest TV series in history. Apologies to readers of last week’s blog, I really thought I’d just seen the final episode and blogged accordingly, but actually it was the penultimate episode. So, here are my thoughts on the actual season finale. It’s back to business as usual as the drama returns to its police-procedural format. Holmes quickly recovers from the shock of Irene Adler turning out to be Moriarty and sets about trapping her. 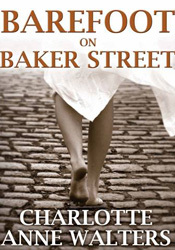 We have the usual murder of the week, Holmes chases after clues, Gregson stands around looking moody and serious, and Watson helps save the day. I actually missed some of the high-drama and emotion of the previous episode. I felt as if this one fell flat after such a build-up. Once again, the drama was far removed from the original story by Conan Doyle charting the final tussle between Holmes and Moriarty. There was no chase across Europe, no waterfall, and crucially no fake death. And as this is such an integral part of the Sherlock Holmes story, I felt bitterly disappointed that the makers of Elementary ignored this fundamental plot-line. What they offered us instead was a female Moriarty who was in love with Holmes. Oh, and he does fake a drug overdose to trap her but that’s hardly in the same league as faking your own death and disappearing for three years. I also think that the creators of Elementary have been a bit lazy in their creation of Moriarty. It’s as if making her a woman has used up all their powers of creativity, or perhaps they think that is enough to make Moriarty interesting. Trouble is, it doesn’t really matter about what gender Moriarty is, what matters is why. Why does Moriarty turn to crime? What is the background to this enigmatic figure who has become almost as famous as his nemesis but so unexplained in the original works? I think they have missed a wonderful opportunity to be the first to fill in these blanks. As much as I loved the interpretation of Moriarty in Sherlock, they didn’t try to explain his background either. This could have been Elementary’s chance to do something really different – far more exciting than simply making Moriarty a woman. What we actually end up with is a bit of a two-dimensional, stereotypical female villain – posh, clever and ultimately undone because she falls in love with her enemy. Not very imaginative really and a lost opportunity in my opinion. I took up the same challenge in my own novel – how can you re-interpret Moriarty to offer something new to a modern audience? And though I kept him as an aging, male maths professor, I also made him an autistic savant riddled with compulsions. I gave him a childhood and explained his rise from troubled, child-genius to criminal mastermind. This was hard work to do and evolved over several years of throwing around different ideas. Now, I’m not saying what I did was perfect or to everyone’s taste, but at least I took the problem head-on and tried to fill in the gaps, using evidence in the canon closely (writing a treatise upon binomial theorem at 21 supporting the child genius idea, and the oscillating head being possible evidence of a compulsion or OCD, for example). In Elementary, we get a Moriarty who bears no resemblance whatsoever to the Moriarty in the canon. All they’ve done is use the name. I don’t know why they even bothered to do that unless it was just to generate publicity with the gender-switch. She’s young, posh, a talented artist who runs a network of assassins and falls in love with Sherlock Holmes, then gets arrested. Original Moriarty is maths professor with a curiously oscillating head famed for writing The Dynamics of an Asteroid who’s vast criminal empire finances an extensive web of criminal activities. 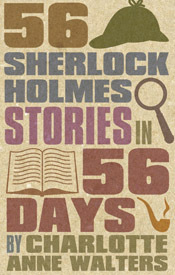 He admires Holmes but ultimately tries to kill him, giving up his own life in the process. In summary, yet again Elementary has left me feeling disappointed and has distanced itself too far from the source material. However, I must add that the friendship between Holmes and Watson remains the best part of the series. I read somewhere that it was described as a bromance where one bro is a woman. Sums it up perfectly. This entry was posted in Elementary and tagged elementary, Professor James Moriarty. Bookmark the permalink. For me, there are two ways of watching Elementary. If I just watch it as a whodunit cop-show, I quite enjoy it. The crimes are fairly imaginative and the interaction between the lead characters is strong. I don’t hate it and have mentioned in my blogs what I feel are it’s strengths – not just the things I don’t like. But if I watch it as a Sherlock Holmes drama based on the works of ACD, I get frustrated by their disregard for the source material. I too am a big Holmes fan and also enjoy reading/watching all things Holmes. For this reason I will keep watching and trying to see the good in the show. I just keep feeling let down and can’t ignore the bad. However, I happily acknowledge that the friendship between Holmes and Watson is nicely done, the interpretation of Watson has grown on me greatly, the way the show deals with addiction is very good and I think that Miller puts in a good performance. But the creators have 56 amazing stories to work with, and choose to basically ignore them all. I am achingly trying to watch the last Elementary…the first I’ve seen since the pilot…it’s painful. When Miller was holding the Vicodin I almost screamed at the telly…no, not House too!…thankfully not. It just doesn’t do it pull it off for me. I’ve never seen House, though I know I should. It sounds like the sort of high quality, stand-out drama Elementary can only aspire to be. The finale of Elementary if attributed to a smell would be that of wet dog hair. As an American who lives in England I can say that I feel American seasons are far too long. The end up with a good portion of filler episodes that can be quite boring. Re Elementary I was just as critical in my review of this poorly poor episode. Not only did they ruin Moriarty but they ruined Irene Adler in one swift blow. I think the master scheme was incredibly weak (not to mention a scheme we’d seen played out in multiple episodes already) and they could have done something far more interesting with Moriarty and saved Irene Adler for something better too. Elementary’s big ‘twist’ is to make originally female characters men ie Mrs Hudson and male characters women ie Moriarty and Watson. The series appeases the vast amount of American simply because they don’t know the text which loosely inspired the series well at all. I agree – by blending the two characters together (Irene and Moriarty) they have diluted both and taken away their impact. Switching a character’s gender is not enough to make them interesting, there has to be more going on than that. I think, overall, they’ve done a good job of re-interpreting Watson but not Moriarty. And I think you are right Luke, the way someone reacts to Elementary can depend on their knowledge of the original stories – though obviously there are people out there who enjoy both. For me, knowing the original stories makes me all too aware of how far removed Elementary is. I can’t just enjoy it in it’s own right. I thought the twist, at the end, a la The Dying Detective, not The Final Problem, was great! I’m a fan of the original series, and I think Elementary has been very good, the best part being Holmes and Watson’s friendship. They writers and producers been creative and aren’t going to please everyone. How far is too far from the originals. It’s a matter of opinion. Good point – the twist was more Dying Detective than Final Problem but was it worthy of the season finale? Yes, there is a degree of creativity there but I feel they could have done a lot more with Moriarty.